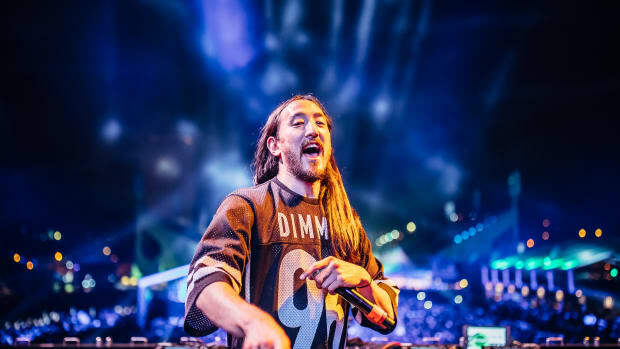 On day two of the New York Comic Con this past weekend, Steve Aoki and other music artists talked about their latest endeavors to integrate their love for comics into their music. 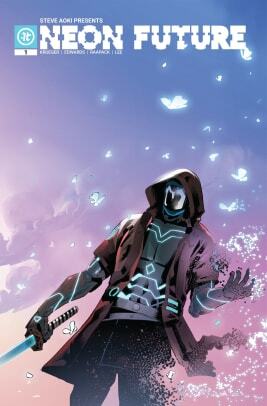 For Aoki, it was also a special day since it was the release of Impact Theory&apos;s debut comic: his Neon Future series. 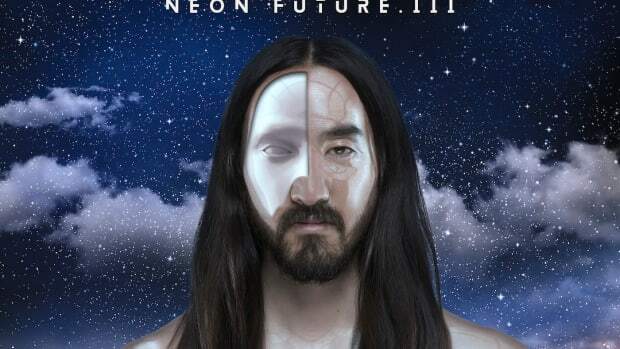 This 18-issue series will accompany Neon Future III in November and Neon Future IV, which he says is already finished, but for which he doesn&apos;t yet have a release date. 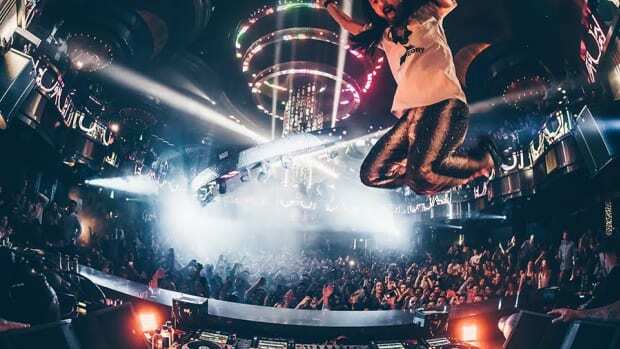 For some it may not be a surprise that our favorite cake-throwing DJ has ventured into the world of making comics, especially given his passion for them. He&apos;s really just as big a comic book and manga fan as any of us are. 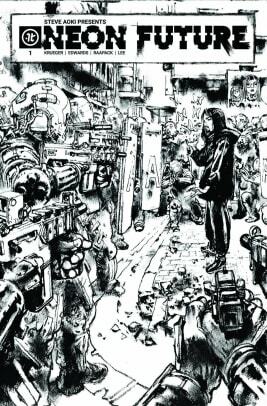 As a kid, Aoki came to understand the idea of collecting through comics. He just had to have every Wolverine issue and, to this day, he still has every single one of them in his house. And like any other collector, he even gets a little uneasy when people go near them, save for the one that&apos;s framed. Although he followed the X-Men universe religiously, it was anime and manga that sparked his love for technology. In college he was part of the anime club where they&apos;d take over a movie theater just to watch and explore the worlds of Japanese animation - like the cyborg-centric Armitage, to which Aoki took a great liking. 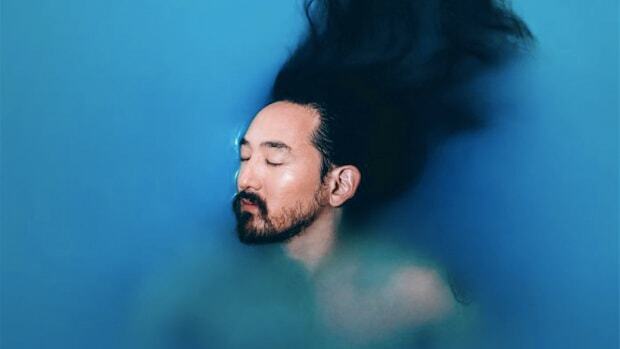 With this newfound love for technology and science, Aoki soon became obsessed with futurist Ray Kurzweil, hence his first song that bridged science and music being titled "Singularity." 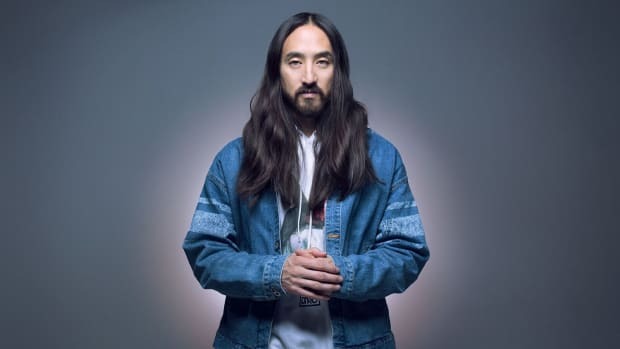 It was from there that Aoki became determined to incorporate science in his music with his Neon Future albums that feature scientists like J.J. Abrams and Bill Nye. 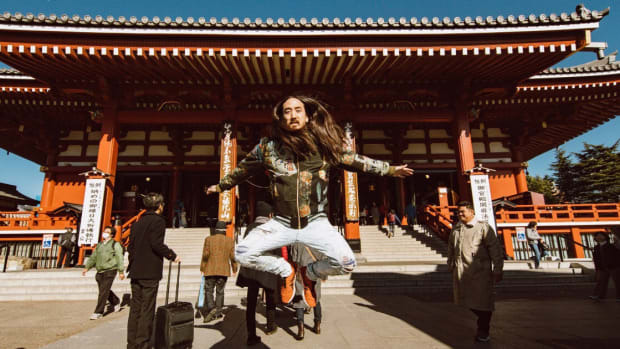 However, Aoki felt that there was still a missing component to Neon Future. 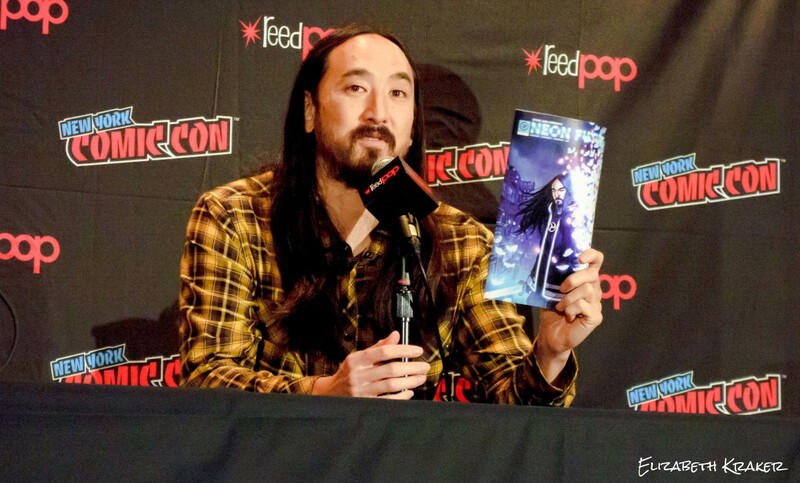 As he told fans at NYCC, he thought the best way to portray the albums&apos; storytelling aspect was through comics. 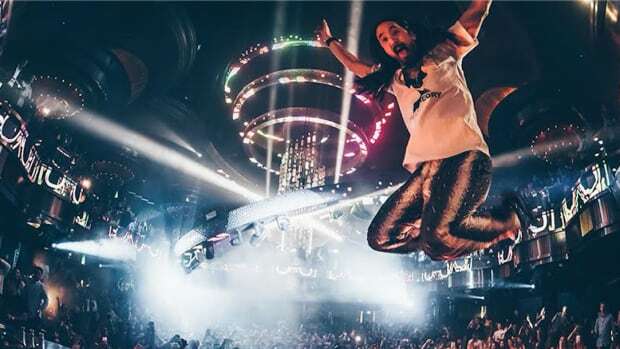 Working with Impact Theory to make this a reality, Aoki and his team didn&apos;t care how long it&apos;d take or how much money it would cost, because no matter what, they wanted to make a great story with the Neon Future idea. 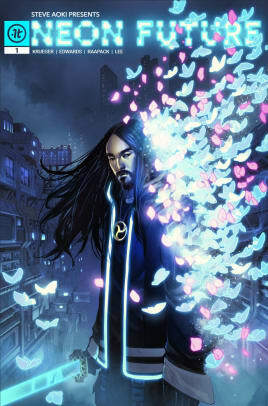 When it comes to working on a comic book, Aoki said collaboration is incredibly important. And, for him, music and comic collaboration are pretty similar because when you know where everyone&apos;s skill sets are, it&apos;s easy to build the team. However, he warned that you "can&apos;t go into the space with an ego" and to remember that your ideas can always be built upon, molded, and changed for the better. When working on "Neon Future" he struggled with this mindset, but at the end of the day he unmarried himself to some ideas he had because he wanted "to make the best execution possible for the storytelling, for the art, for the imagination level and for the reader." 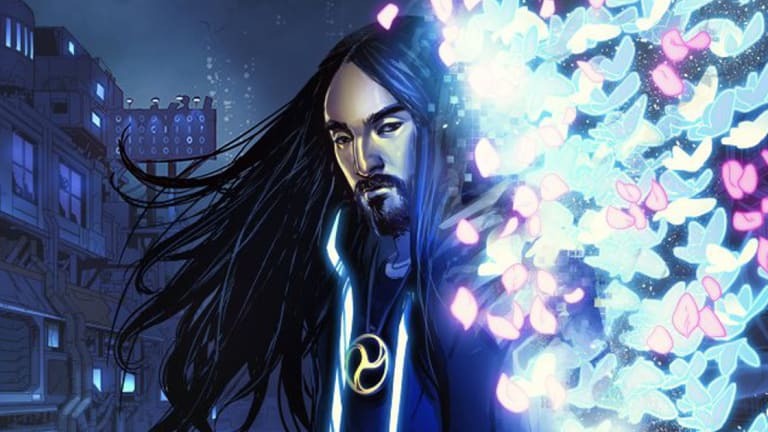 For aspiring comic book creators, Aoki imparted that making comics takes time and that you can&apos;t just jump into it thinking you&apos;re going to make a comic book and "boom" it&apos;s done. He says it&apos;s the same concept with music in the sense that "if you go into it thinking you&apos;re going to make money, you&apos;re not going to make money." It&apos;s only way after you make something and see if people like it, that you might actually make money. What really matters is finally getting your best work out there and hoping your readers or listeners resonate with it. We got the chance to pick up a physical copy at the Impact Theory booth and, if you&apos;re a comic book fan who likes sci-fi, it&apos;s definitely worth the read. You can buy your own copy here with a choice of five stunning variant covers. If you&apos;d like more information about Impact Theory or "Neon Future," check out their website!